A black and white edit of our adventure on the Falkirk Millenium works. Sailing through a channel to end up in a genuine boat lift. Pretty neat experience! 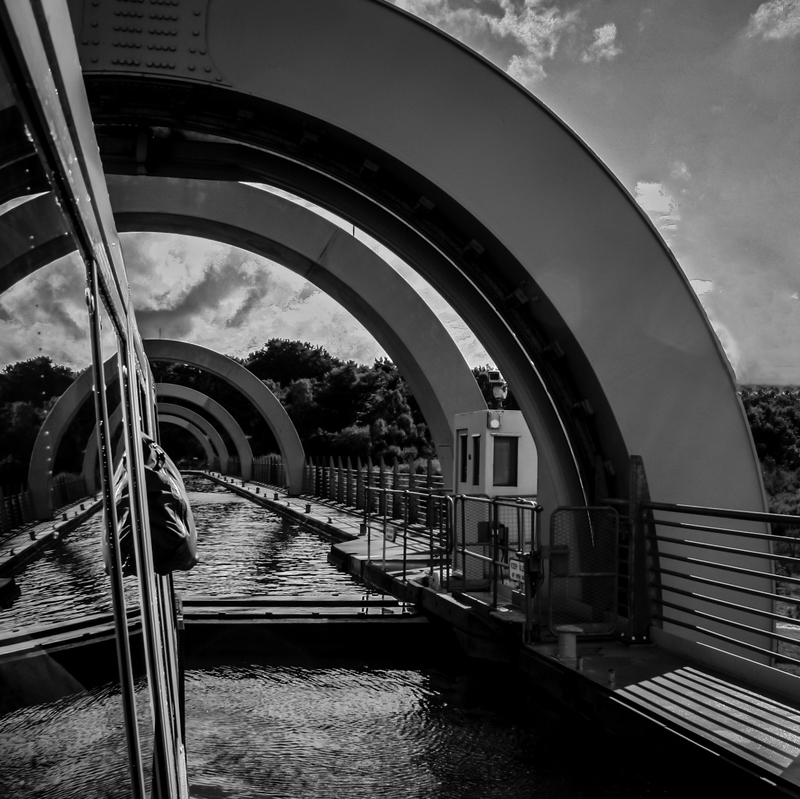 Categories: SW England & Scotland | Tags: Abstract, Black-White, Boat, Channel, Circles, Construction, Creative, Falkirk, Falkirk Wheel, Millenium Works, Photography, Repetition, United Kingdom, Water | Permalink. Is the Earth really flat? I can see the edge!! The middle part of the construction is massive! 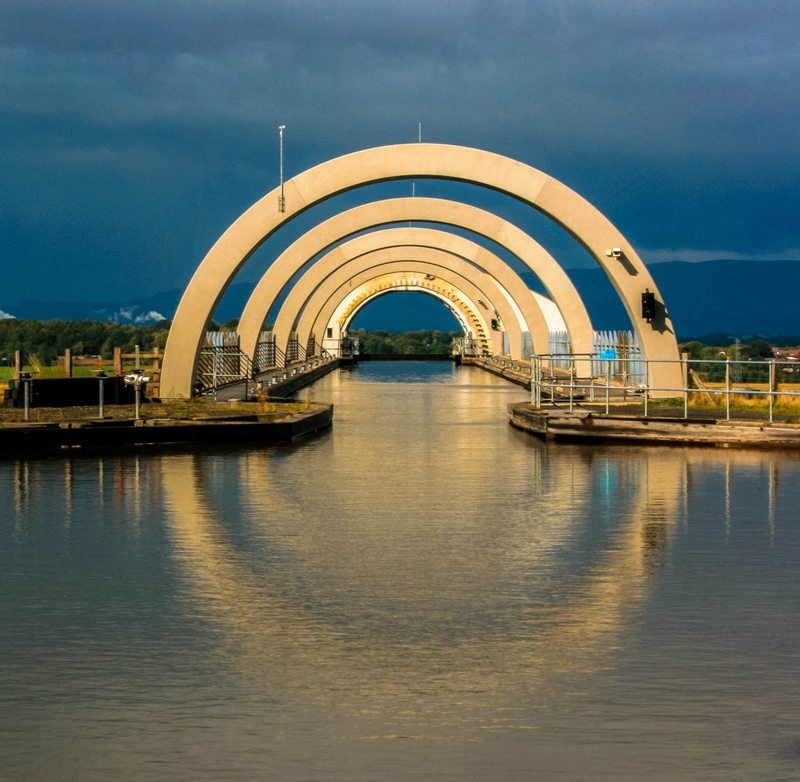 I got asked by another photographer to send her some pictures from the Falkirk Wheel. I’m more than glad to do this and while i was preparing some pictures i decided to put them on the weblog too! I hope you like the serie and if you’re ever close to Falkirk and it’s amazing wheel, do yourself a favor! Hop on in one of those tourist boats and enjoy the ride and the experience 🙂 My dad and I truely enjoyed it! 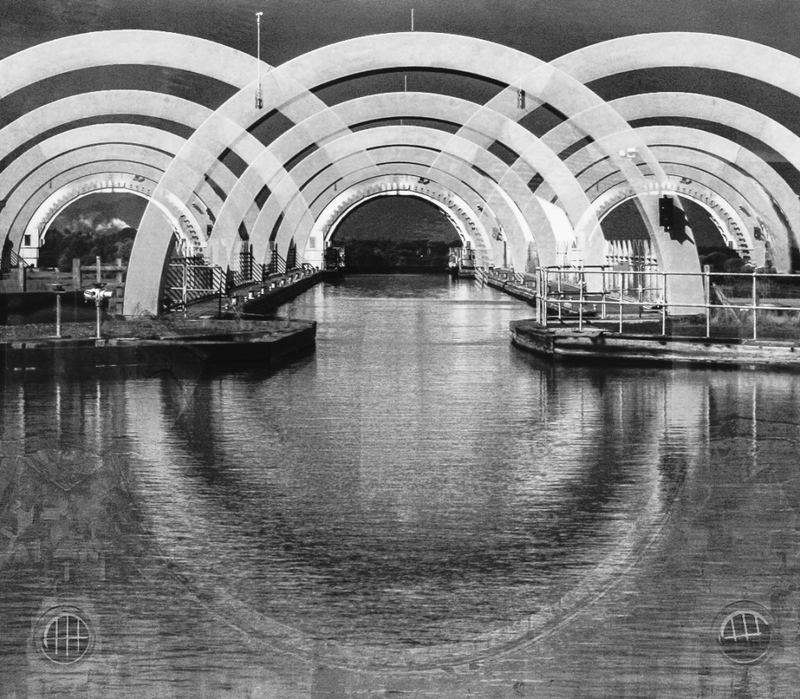 Categories: SW England & Scotland | Tags: Architecture, Boat Lift, Canal, Channel, Falkirk Wheel, Landscape, Mechanics, Photography, scotland, Structure, Touristic, Wheel, Wonder | Permalink. This is the view of the Falkirk Wheel when you’re on the actual channel with a boat. We did the tour – going up and down the wheel, which is a boatlift – and it was very nice. The weather was bad when we went up, it was pouring down on the roof of the boat. But as we started our way back, the sun came back creating these nice reflections in the water. Categories: SW England & Scotland | Tags: Architecture, Channel, Falkirk, Falkirk Wheel, Landscape, Nature, Photography, Reflections, scotland, Technical Highlight, Water | Permalink.